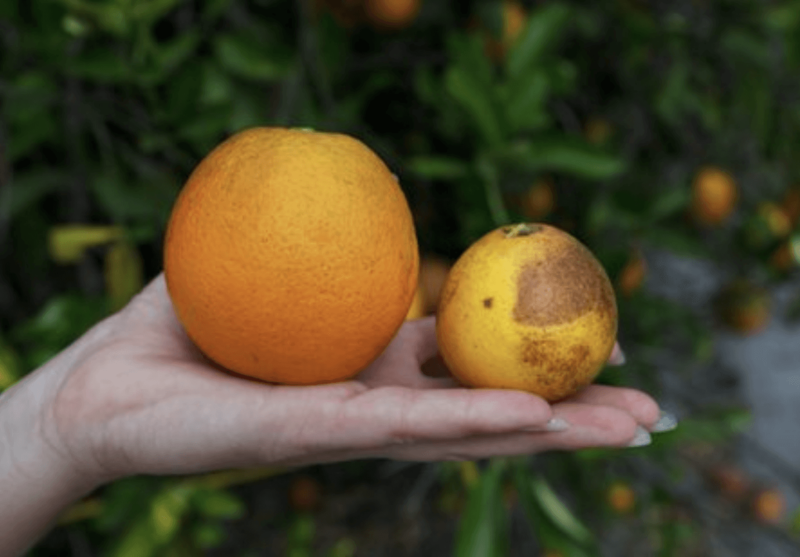 An orange from a healthy tree compared to one from a tree infected by citrus greening disease. Public-health researchers worry that the spraying plan might spur resistance in some human pathogens. 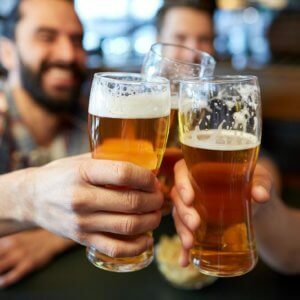 It’s a reasonable concern; a fungicide used to control a tulip blight in the Netherlands, for example, has triggered a rise in treatment-resistant aspergillosis in people with compromised immune systems. 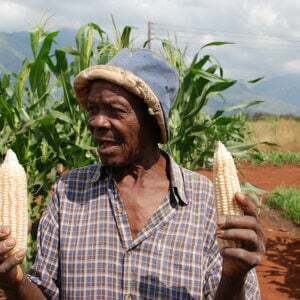 Growers are willing to try anything, however. 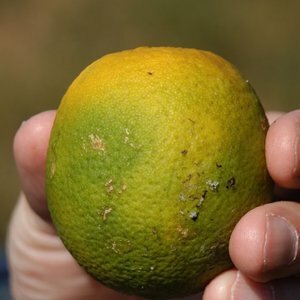 Citrus greening (also known as huanglongbing, caused by the bacterium CandidatusLiberibacter asiaticus), has crippled the Florida citrus industry: almost half the acreage that was in production before the disease arrived has been abandoned and, by some estimates, 90% of the state’s citrus trees are infected. 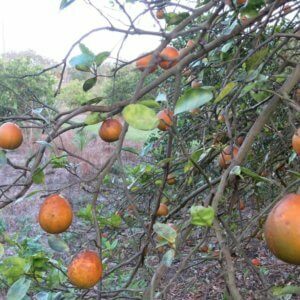 “The level of desperation is high,” says Rick Dantzler, chief operating officer of Florida’s Citrus Research and Development Foundation (CRDF) in Lake Alfred.